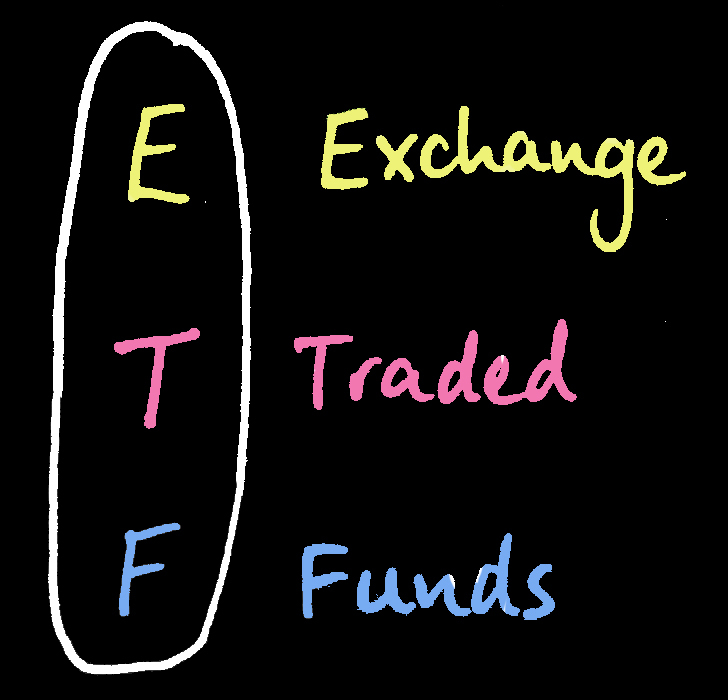 ETFs are all the rage at the moment, but are there any disadvantages of ETFs? Before you purchase an ETF, it's vital you know what underlying securities the ETF is tracking. Once you've done this, you have to accept some "tracking error", in other words, the ETF doesn't perform exactly how its underlying securities or benchmark perform. 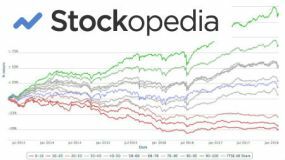 Take a look at the images below, which show how ETFs sometimes lag behind the performance of the underlying stocks, while broadly keeping in step with them. The measure used to quantify this tracking error is the "standard deviation of the difference of the portfolio to the benchmark over several years". Ignoring the complex mathematics behind this, it shows you on average the distance between the ETF value and the value of the underlying assets. The lower the number the better, meaning the ETF sticks as close as possible to the securities it tracks. Tracking errors can occur for several reasons such as differences in timing when re-balancing the underlying portfolio, fees, bid/offer spreads experienced when the fund invests and sells its assets and expense ratios. To protect yourself from significant tracking errors, you should always check the tracking error for the ETF against its benchmark over the past few years. This shows you the accuracy of the methodology employed by the ETF management. The lower the number the better. Some specialist ETFs (like commodity ETFs) have often have very large tracking errors where the ETFs performance has barely replicated the underlying asset it is trying to follow. In the case of commodities, this has often been due to contango or backwardation. These ETFs rely on the forward price of a future contract not moving too far from the future spot price. If you are to be involved in commodity ETFs then it is imperative you understand contango and backwardation so you aren't too surprised by large tracking errors. It is beyond the scope of this page to explain them but you can find out more here. If you buy an ETF that tracks a major index such as the S&P 500 then your performance will be the same as that index (ignoring tracker errors) minus costs. This means that you won't outperform the index. You could, of course, go for more specialist ETFs such as a pharmaceutical or technology ETF but remember that technically ETFs are treated as mutual funds, which puts certain restraints on what they how they're permitted to operate. For example, they cannot have more than 25% of their assets in a single security and securities that have more than a 5% share of the fund can only make up 50% of the total fund. Most ETFs simply try to track their benchmark as closely as possible. Does it matter if you don't outperform? Well clearly if you aspire to be the next Warren Buffett then "average" results simply won't be good enough. That said, we think ETFs (particularly index trackers) are ideal for investors who don't want to spend a lot of time working (or stressing!) about their investments. This is because "average" is actually very good. Over the last two hundred years, total returns from US equities have been nearly 10%, outperforming inflation by 5.5%. Over very long periods of time, we'd expect a group of high quality companies (which the S&P 500 is) to outperform cash, bonds, and other asset classes. So just tracking an index like that should stand you in good stead - outperformance would be something pretty special. Although they're not often cited as one of the disadvantages of ETFs, you should always look out for the costs! ETFs have become a lot cheaper in recent years and now compare favorably to mutual funds. 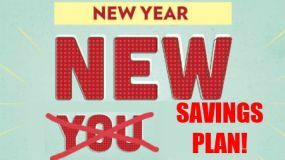 That said they will probably cost you more than individual stocks. That is because you will be likely to pay the brokerage fee when you buy the ETF and then there will be the ongoing management charge of the ETF while you own it. However, if you have a small portfolio and want a lot of diversification then ETFs that track major indices maybe cheaper as you'll effectively be able to own a piece of every company in that index whilst making one ETF transaction rather than buy every single stock, which would be both costly and impractical. When you own an ETF you have no say in what you own or what securities are bought and sold in the ETF you own. True they will stick to the parameters they set out (you won't get an ETF tracking financial companies that suddenly start buying tech companies) but they may start substituting out stocks that you would rather hold. An example where tracker fund ETFs can be particularly frustrating is when stocks move into the index and ETF funds are forced to buy them. As you can imagine, a bunch of forced buyers can force the price up and your fund would in this case be buying at the new elevated price. 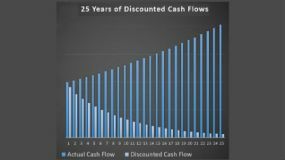 A study from Standard and Poors showed that from the announcement date to the effective date of admission to the S&P 500 index (the first day when tracker ETFs can buy them) share rose an average of almost 8.5% and this price increase is nothing at all to do with the health or profitability of the underlying business, so the 8.5% increase is basically wasted cash. As you can imagine, the inverse is true when a stock drops out of an index. Index trackers are then forced to sell this stock (often at subdued prices) meaning that investors can be forced out of potential turn arounds. This is one of the definite disadvantages of ETFs. 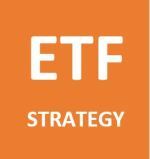 Some ETFs promise outsized returns by leveraging (borrowing) to purchase the underlying assets in an ETF. If a leveraged ETF has a 2:1 ratio then each invested dollar is matched by one borrowed dollar to invest. Technically this should magnify the gain or loss by the underlying asset by 2x but be careful: this often doesn't happen. This is often due to the underlying fund leveraging by using futures contracts and can result in far higher costs and greater tracking errors. We think the use of leveraged ETFs is really for speculators rather than investors and would give a huge warning to anyone looking to use them. Despite the disadvantages of ETFs outlined above, we'd say that ETFs are of value to large groups of investors, if used properly. The key is to understand the risks we've highlighted above and try to avoid or minimize them. Clearly if you love doing the groundwork of investing yourself then ETFs may not be for you. That said, if you are looking for a low cost way of replicating the stock market as a whole then a low cost ETF index tracker could be an excellent tool for you and, if bought consistently and regularly over a long period of time, should provide acceptable investment returns.